The term “short sale” has been misleading people for decades. Despite the name, it’s a term applied to transactions that often involve a lengthier-than-usual sale process. 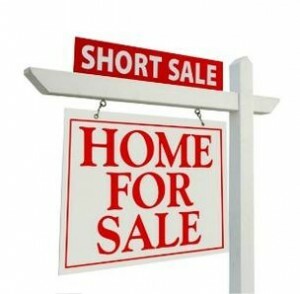 A Highlands “short sale” is named for the financial aspect of a sale rather than the length of time it requires. It’s anything but a shortcut. The ‘short’ in ‘short sale’ describes a sale at a price that comes up short—is less than the full amount owed on a Highlands home loan. As you’d guess, whether a bank (or any mortgage holder) accepts such a sale is a decision that is up to the lender. Why would a bank choose to move ahead with a short sale instead of holding out for the full amount? After all, if a borrower is unable to pay, it’s hardly the bank’s fault. You might think that it is always in the bank’s interest to hold out for full repayment, and to take possession of a mortgaged property whenever that doesn’t happen…but in reality, that’s often not true. In the real world, the bank will lose money on either a short sale or a foreclosure—but the latter is often more expensive, since it requires the bank to do the expensive work of repossessing and selling the property. It may sound like a happy solution for homeowners with financial problems, but among other drawbacks (for instance, there can be tax issues), the “a while” it takes to close a Highlands short sale can be between five and seven months! Yet for patient (or even better, very patient) buyers and sellers, a successful Highlands short sale can yield the best of a bad situation and an unmatched bargain. There are endless variations for how any given short sale can proceed, so having an experienced Realtor® in your corner is always a good idea…and calling me is the way to start!